Legumes are lovely, particularly in luxurious potages and savory soups. What could be more well-suited to a chilly spring evening than a delicious lentil soup supper? Try these healthy, high-fiber lentil soup recipes, published by a veritable goulash of web writers. This lentil soup is a descendant of one my mother used to make (and still does). My version has slightly different seasonings from hers, but it remains a very hearty and delicious soup. A good meal for cold days, this vegetarian soup is apt to appeal even to committed meat eaters. This is has a nice rich flavor and keeps well in the refrigerator or freezer. The soup will thicken and intensify over time, giving the leftovers a deeper more complex flavor. This soup is very filling and goes well with rolls or with cheese and crackers. Escarole and lentil soup makes a healthy and delicious meal. This warm soup is perfect on a cold winter day. This soup combines the flavors of lentils, tomato puree, shredded cabbage, hearty vegetables, and seasoning to make a tasty and filling meal. 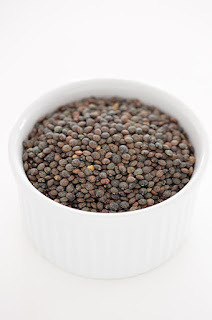 Lentils are extremely healthy as well as delicious. When cumin is added to lentils, it creates a memorable flavor hit for anyone’s palate. Lentil soup is an awesome food to make for any occasion, it also makes a wonderful meal for vegans too. This lentil soup is the perfect introduction to subtle and flavorful Indian spices. This delicious orange lentil soup is heart-healthy and so simple to prepare. Your family will be too busy eating every last spoonful to realize they are eating a soup that is loaded with protein, fiber and iron. Soup is super for supper! Who’s looking for lentils now? 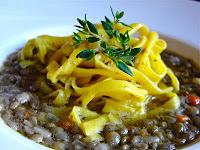 I became addicted to lentil soup on a recent trip to Greece and Turkey. Thanks for these recipes. Am printing them out as we speak. We had this Armenian restaurant that had the best lentil soup ever. They closed years ago and we have never found anything even remotely as good.